Dark Dimensions: Wax Beauty Collector's Edition is rated 4.0 out of 5 by 94. Rated 5 out of 5 by expotanne from Great but short! This is the 'lightest' of the dark dimensions games that I've played so far and by a long shot the shortest! That said, I loved it! It is obviously a play on House of Wax but that said there is the normal spooky ghosts, bits that jump out at you etc etc. A great game and good fun. Rated 5 out of 5 by pennmom36 from Dark Dimensions: Wax Beauty CE Dark Dimensions has done it again! This is the second game in the series and this game does a nice job of referencing the original game City of Fog. The book of black magic suggests that the next Dark Dimensions will take place in Michigan at Red Lake Falls, a town that disappeared after an earthquake in 1918. Your own parents and brother died in a tragic car accident, you were the only survivor, and you are hopeful that someday you will find your family in the Dark Dimensions. As soon as you arrive you realize that you have indeed found the Dark Dimensions, a beautiful and ghostly apparition wearing a beauty pageant gown, sash and crown pleads for you to save us from the wax! Somebody is immortalizing people in wax but who is responsible? Could it be the beauty queen's twin brother Sebastian, or his stalker girlfriend? 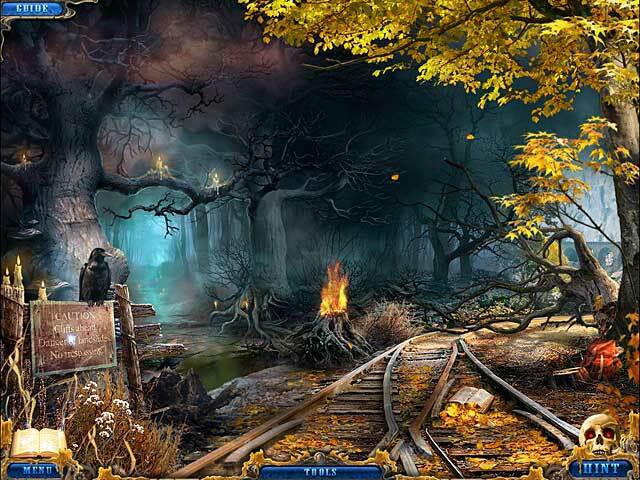 This is a game with beautiful yet dark graphics, what else would you expect from the Dark Dimension? The Hidden Object Scenes are a bit different than on City of Fog, there are no separate tabs on the inventory bar, but they are still interactive. Some items are in yellow requiring you to find a brush, then you click on the dirty shoes which will be cleaned by the brush which will then be clean boots listed in white. The mini games are mostly puzzle where you slide tiles along a path until they are in the correct slots. Most of them are easy but some take a little finagling to complete. The only thing I believe this game is missing is a map, there are several locations to travel back and forth to and at times it becomes difficult to remember where everything is at. This Collectors Edition has concept art, and HD wallpapers, the usual things, the only thing this version has that is pertinent to the game and very useful is the built in Strategy Guide. I'm very fond of the SG feature therefore I usually opt for the CE, enjoy! Rated 5 out of 5 by mspaws from Not too much footwork Lots of HO games. Travelling around finding objects was just right for those who don't like to have to remember where you need to use something. Music was not overwhelming and added to the game play. I really enjoyed the game! Rated 5 out of 5 by rosekaufmann from STORY IS A BAG OF CHEETOS SUMMARY: Red Lake Falls, MI disappeared after an earthquake in 1918 and you are investigating what happened after your previous successes. Story centers around a pageant beauty queen, her zealous brother, and a wax museum. The story becomes quite complicated and takes more twists and turns than a bag of Cheetos. But it is still easy to follow because it is very logical. A lot of fun to play. Very involved but logical gameplay, so you don’t feel overwhelmed. LENGTH: Took almost 5 ½ hours to play, so above average length. Ended in a satisfactory whirlwind. HOS: Very many and very interactive. Find an object then use it to complete another object, but it is not obvious at all what needs to be done. (Ex: objects are clean paper and tale. You have to find a scroll which unrolls to a clean piece of paper, put it into a typewriter and emerge with a tale.) Then there are the usual interactive objects. PUZZLES: Quite a few – usually you have to find the pieces to complete. Some pieces of a puzzle may be found within an hour, but others not for another hour or two of gameplay. But you can usually place them as you find them (so your inventory tray doesn’t seem so loaded). 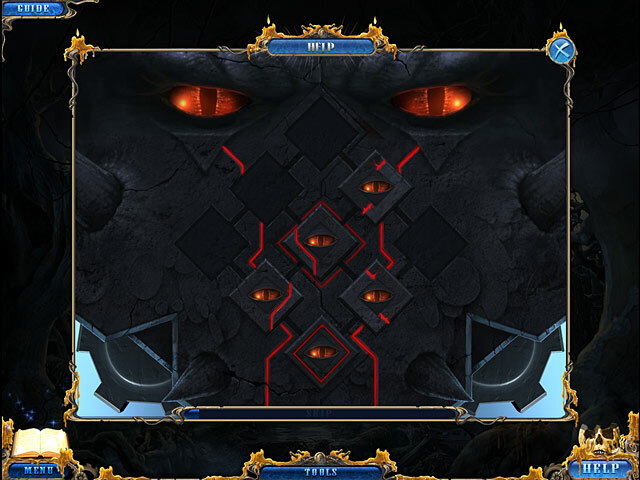 Some puzzles lack very informative explanations of exactly what you have to do. It can therefore be trial and error (or you can just skip when you run out of trial and patience). GRAPHICS; ARTISTRY; LOCATIONS; MAP: People who posed for the wax figures appear as whispy characters. Very well done. There is a lot of special effects artistry in the cutscenes and especially in the ending. There is no map. There aren’t that many locations to begin with. Suddenly, about 2 hours into the game, you open location after location and have lots of inventory (to which you keep adding), so I’d suggest using inventory as soon as you can. Thankfully, the locations are close together and you seldom have to travel more than 4 or 5 screens to get the next location you need (and that is usually backing out and then going forward once or twice). HINTS: Casual has a fairly fast recharge. If you want direction, you sometimes get a message that you’ve searched the area thoroughly and should look elsewhere. Othertimes, you get a direction arrow pointing you in the general direction of where activities are pending. Didn’t figure out why you get one or the other. Rated 5 out of 5 by Alice7147 from Awesome Game! I love the game! It's fun, the musics and sights are beautiful, and the game was fun. It was a little scary, but fun. Rated 5 out of 5 by mrm2006 from Great Game The storyline is basically sis won a beauty pageant and jealous twin brother rises in the ranks of town's new wax museum. But what happened to the residents after freaky deaky earthquake. Early on it's not hard to figure that mystery out. But as to the game, it's called "dark" for a reason so the dreariness did not bother me and I have "old" eyesight. The HOGs could be difficult because a LOT of them were interactive and the areas were dark and overly jumbled. The mini-games were relatively easy. The voiceovers were clear and concise for me, although I noticed others complained about this. The hint button recharged fairly quickly. I like to play both the CE and SE free trials when available as I did this time and finished the SE with 27 minutes to spare. I will probably not purchase the CE based on the reviews of the bonus chapter. But, overall, I loved this game and Glam-Ma says go for the free trial, that's what it's there for. Rated 5 out of 5 by Jem_Jerrica_Guy from Like the movie "House of Wax" And we know that movie was a classic! Not playing the actual movie, but this will do. Rated 5 out of 5 by Tundei from Great game! 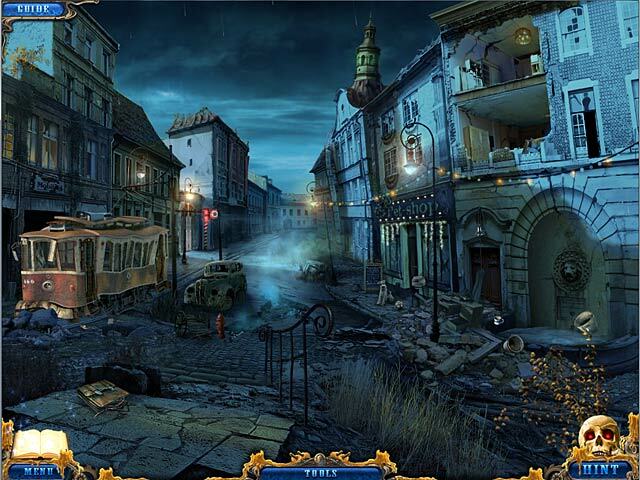 Beautiful graphics, lots of locations, no sparkles in hard mode much better than Dark Dimensions City of Fog.